BUY NOW to get an immediate return on your investment of $46,000.00 and your choice of a upper or ground floor unit. Comparable units in the area currently selling at $175,000.00US. 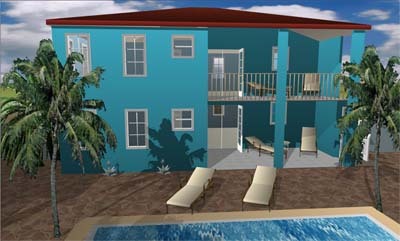 Bonaire Dreams Condos is located in the developing area of Hato. We are just down the road from Buddy Dive, minutes from the center of Kralendijk and close to dive shops and supermarkets. A small local supermarket and restaurant are right across the road, while a bank, ice cream parlor and fitness center are down the street. Some of the best dive sites are just minutes away including Sunset Beach and Oil Slick Leap. 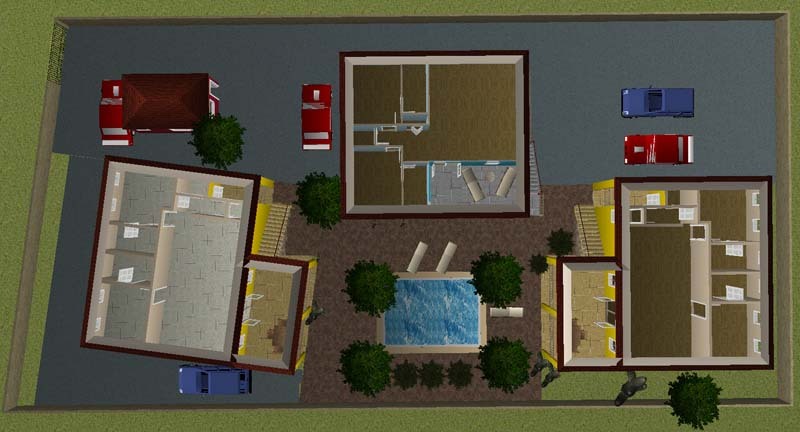 Ample space between the 3 buildings allows for natural cooling via the islands constant trade winds and with only 6 units in total there will never be noisy crowds around the pool. Our complex will be secured via a concrete wall around the perimiter and electric gates. Tropical trees and plants complete a lush garden around the swiming pool. Rinse tanks, showers and laundry water feed the reservoir for the watering system for the gardens. On site parking is available for all condos including a guest spot. Inside the floors will be finished with tiles, the kitchen includes a built in stove and bathrooms will be fully equipped. A storage closet large enough for a small washer/dryer combo will be plumbed to accommodate. Screened windows and doors allow you to enjoy the cool breezes while keeping unwanted critters out. The bedrooms will each have split unit air conditioners and wiring for ceiling fans to keep you cool as you sleep. No air conditioner is planned for the main room, although one can be added as an upgrade. Bedrooms and living rooms will be wired for ceiling fan/light combos. Furnishing of the condo is not included in the price, although we can help with this process. Each condo will have individual water and Pay Go power meters. Similar to Pay as you Go time cards for your phone, you purchase cards and punch the number into your electric meter. When the amount of kilowatts purchased reaches zero the power turns off. This gives the owner the option to rent out long term and have the tenants pay for their own power. Solar hot water heating is being explored to keep power costs down. The condos have 87sq m (937sq ft) interior living space. Common kitchen, dining and living areas comprise the front half, and 2 bedrooms and 2 1/2 bathrooms occupy the back. A large 20sq m (220sq ft) patio gives plenty of room for outdoor dining or lounging and a smaller 45sq ft (4sq m) patio is perfect for allowing your gear to dry in the breeze. Total area including patios is 112sq m (1202sq ft). We require $10,000.00 down payment to reserve your condo. $60,000.00 will be payable when we break ground in the fall of 2015. $60,000.00 will be payable once the building envelope is completed. The final payment of $39,000.00 will be due upon completion and final walk through of the condo. Walk through may be done via photos/videos if you are unable to be there in person at the time of completion. We require $30,000.00 down payment and will finance the remainder over 25 years at 4.5% interest. Monthly payments on this would be $769.33 per month. Title of the condo will remain in our name until the full balance has been paid. You may make additional payments or pay in full at any time with no penalty. Interest is calculated monthly on the outstanding balance. The condos have 78sq m (840sq ft) interior living space. 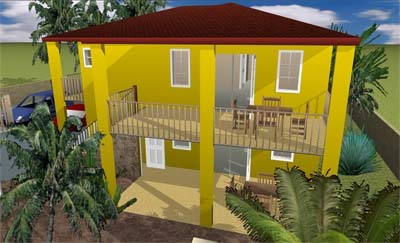 Common kitchen, dining and living areas comprise the left half, and 2 bedrooms and 2 bathrooms occupy the right. A 17sq m (180sq ft) patio gives plenty of room for outdoor dining or lounging. Total area including patios is 95sq m (1020sq ft). We require $10,000.00 down payment to reserve your condo. $60,000.00 will be payable when we break ground in the fall of 2015. $60,000.00 will be payable once the building envelope is completed. The final payment of $19,000.00 will be due upon completion and final walk through of the condo. Walk through may be done via photos/videos if you are unable to be there in person at the time of completion. We require $30,000.00 down payment and will finance the remainder over 25 years at 4.5% interest. Monthly payments on this would be $658.64 per month. Title of the condo will remain in our name until the full balance has been paid. You may make additional payments or pay in full at any time with no penalty. Interest is calculated monthly on the outstanding balance. Email Amber or Gerald via email if you have any further questions.